A’s4 birthday and I went to a session that talked of the heart as being the essence of you, the essence of me. I like this idea that there is a need to look after ‘me’ to find that place of rest and peace to restoration. That work should be light pruning and not slave labour! Resting leads us to become in touch with ourselves. The concept of everything as temporary too is helpful to me. 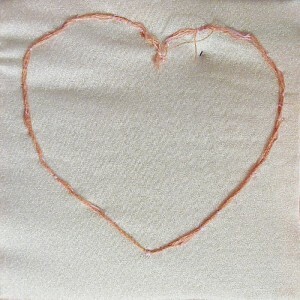 The image then is of the heart but I feel there needs to be something muted and calming in colour to aid this.